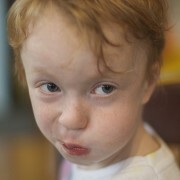 Parents often ask what can be done when their sensitive child is having a full-blown tantrum. I have worked with many wonderful families who implement sensory diets, use visual schedules, and write social stories to try to cover all bases. 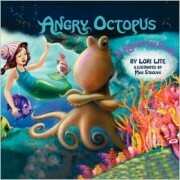 Yet…life happens, unexpected events abound, and kids tantrum. Dr. Miller created the acronym, A SECRET, to provide parents a way to remember and implement the fundamentals of clinical reasoning in their everyday lives. Families need a flexible way of considering their child’s personality, temperament, needs, and context in order to find effective ways to manage melt downs. Attention Is there a way I can draw my child’s attention away from his anxiety? Sensation Is there a sensation that is alarming my child right now? If so, what is it and can it be modified? Can I use another sensation to override the alarming one? Emotion What emotion is my child experiencing and what techniques do I know that work best when he feels this way? Culture What part of the culture of this activity can be changed to avoid situations like this in the future? Relationship Is there something in my child’s relationship with me or someone else right now that is causing him to act a certain way? What can I do about it? Environment What in the environment is setting my child off? How can I change it? Task What is troubling my child about the task at hand? How can the task be modified so that it is not so problematic for my child? If your child is currently treated by an occupational therapist, discussions with that clinician will help you better understand and use A SECRET in your everyday lives. Miller, Lucy Jane. 2006. 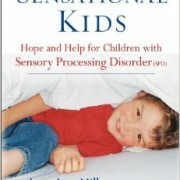 Sensational Kids: Hope and Help for Children with Sensory Processing Disorder (SPD). G.P. Putnam’s Sons. New York, New York. Re-Boot with Some Classroom OT! Imagine that it is the middle of the school day. You are tired and have a million different things floating around your mind. What’s for dinner? I need to pay a bill tonight. Will I ever catch up on emails? You are trying to concentrate on one thing at a time but we all know that is impossible. Now imagine that you are a child. You have all the same tired feelings and the same number of worries floating through your brain but you have one tenth of the coping skills to manage your day. You don’t know that you need help much less how to ask for it and you feel like you may shut down or crash at any moment. As educators we need to be in tune to our own feelings as well as those of our students so that we can anticipate these moments and be prepared to deal with them. I am fortunate enough to have worked with some wonderful OTs who have helped me try to be the teacher with the never-ending toolbox. I have come to learn that every student has a different way to deal with their stresses and fatigue. I realize now that when it comes to OT one size does NOT fit all! Throughout the school year we have taught students many different coping strategies. We practiced breathing and yoga. We worked on chair pulls and wall pushes. We have provided silly putty and encourage students to get a drink from water bottles. We created a reading nook and a break space. We have provided journals and have access to iPads. Our students identified which strategies help them relax and we provide them as an option on a daily basis. We thought we were all set. We slowly started to realize that without prompting, most students continued to internalize their feelings and they were crashing despite our efforts. The question moved from what should we have them do to how are we going to get them to do it? Finally one day in the midst of a classroom breakdown, I had a breakthrough. I turned off the lights and yelled FREEEZE!!! They froze. I asked them to close their eyes. All eyes were closed. Next, I asked them to imagine a computer with a lot of windows open. The computer is trying to do too many things at one time and is becoming slower and slower. Maybe your computer totally froze and you lost everything. We have only one choice. We have to Re-boot! I told them to click out of each program just like a computer would. Click out of worrying about that math test or that argument at recess. Click out of thinking about that birthday party or field trip. Slowly and quietly one by one click out and shut down. Shutting down a computer takes a minute or two. It might even be a physical motion when the students lie down and close their eyes. I ask them to stay shut down for a moment or two. Totally clear and turned off. Now we can reboot. Turn the power buttons on one at a time slowly. It takes a while for a computer to re-boot; it will take a while for their bodies and minds to do the same. Once their “desktop” is restored, every program they were in, every worry or thought they had is gone. They are a clear screen, a blank canvass. We have done this a few times as a class activity. I have even done it one on one with a student who was really struggling. We have started asking students if they need to “re-boot” and if they say “yes” they have all of those strategies and interventions I mentioned earlier at their disposal. A few students have even started using the phrase “I need to re-boot or re-start” followed up with a request to do wall pushes or grab some silly putty. Our goal as educators is always to help the students self regulate their emotions and their behavior. Our classroom re-boot has slowly started that process and we hope that they continue to use any strategy they need to refresh. Maybe one of your students can get a drink and feel better but another needs some pressure in their shoulders or fingers to successfully move on. Teaching them to re-boot helps them to recognize the need while helping you to individualize the strategies making OT applicable and successful in the classroom. 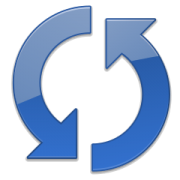 Who knows, you may be re-booting just as much if not more than your students! Happy OT Month! B is one of the most lovable 6 year olds I know. Let me describe him. B can’t sit in his seat more than 2 minutes without falling out of his chair or swinging his head and body back and forth for vestibular stimulation. When called to sit on the floor, he is soon found positioned in such a way that the top of his head is pressed against the floor while he gazes at me with his beautiful, blue eyes…upside down. As the kids line up to get ready for the gym, B paces in a circle looking at the pattern on the rug. Humor works. When he is treated respectfully, with humor, B’s anxiety decreases and he can adjust briefly. 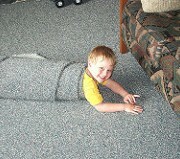 For example, “B, why are your eyes where your mouth should be?” when he is lying down on the rug rather than sitting. Movement helps. Given the opportunity to move as needed, calms B’s nervous system and doesn’t interfere with his learning though we adults cannot understand HOW. We certainly couldn’t process while moving like that! But B can and does. Ask the question. When we ask, “What will help your body stay in the seat?” B actually comes up with some reasonable suggestions! He feels respected and understood. He appreciates that we are on his side and he is more invested in making the accommodation work. Unfortunately, I feel the need to mentioned what doesn’t work. Punitive correction does not help. Remember, B KNOWS what he did “wrong”. He just can’t do anything about it in the moment. Finally, I must add that I am not advocating free reign without consequences for actions that clearly disrupt, offend, hurt, or destroy property. Like all children and adults, B must learn to be held accountable for his actions. But doing so from a position of understanding and respect makes all the difference in the world! If these activities sound intriguing, more details and others like them are available in our Social Adventures app! Description: This is a beautifully illustrated book that takes a child through waking up to bedtime while experiencing all the sights, sounds, smells, tastes, touches, movement and emotions a young child might live through in a day. Why I like this book: This is a book that must be experienced. It is long and written in rhyme. 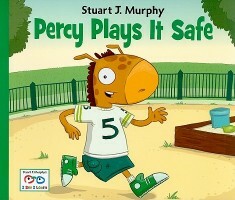 The illustrations have lots of detail, action, and emotion. The book reminds us that we live in a world that bombards the senses at every turn and recognizing the “cozy” senses can help us stay regulated. Read the book a little at a time and have the kids talk about what is “cozy” or regulating for them as each sense is highlighted. 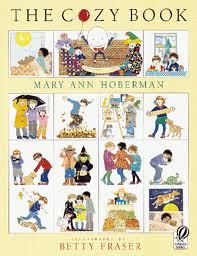 Talk with kids about the sequence of their days. The book points out that some things are “cozy” for some people and not for others. Have a discussion about differences and taking another person’s perspective. Kids can conversely talk about sensory experiences that are not cozy and what they can do about it. (Some kids in the book are putting hands over their ears to block out noise). Even with therapy and frequent opportunities for sensory and motor breaks, it takes a long time to help kids through these issues. In the mean time, they are annoying friends and siblings and effecting negative impressions on adults. Although there are no magic answers, I have found that working on sensory processing issues in the context of a small group to be extremely helpful. 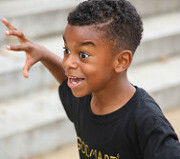 While kids are engaged in a highly motivating movement activity, we call out “freeze-frame” to stop an offensive action or exaggerated response. We then talk about what just happened and what we can do to change the action and reaction, re-wind, and start again. Once kids know this is part of our group process, they are open to “freeze-frame”, “rewind” and “start again” and become more aware of how their sensory challenges impact others. What do you find helpful in your homes, therapy, classrooms, and play grounds? 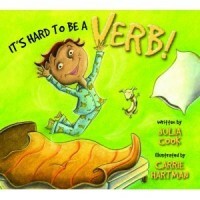 Book: It’s Hard To Be a Verb! 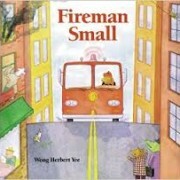 Why I like this book: Great for discussion about whole body listening, and helping kids find ways to help themselves. While reading, have kids identify how their body feels when they feel their body is a “verb.” Louis feels itchy and jumpy, how do you feel? Is it your body? It it your mind? Is it both? A good book to introduce some body tools (best to do with guidance from your team OTs). What tools and strategies help them? Taking a break, moving their bodies, a drink of water, putty, reading a book, squeezing thier muscles and then relaxing, making a schedule with visuals, visual reminders, etc. Great to discuss how everyone uses different tools to help themselves. Provide some options and experiment. Discuss how their bodies should look when they are “focused.” Focus on all different parts of the body. Listening eyes, listening hands, listening feet, etc. With younger kiddos you can do “NOT listening eyes,” then switch to “listening eyes,” and do with each body part. Discuss WHY we need good listening bodies. What are other people (friends, teachers, etc.) thinking if we’re not listening with our whole bodies? What are some clues that we may not be listening? How can we help a friend that is having a hard time? Brainstorm places/contexts where it’s ok to be a “verb.” Playgrounds, outside, P.E. class, movement games in the classroom, etc. Can tie to safety awareness too.